This is my favorite subscription gift since, From The Ground Up. I think they hit it out of the ballpark with this one. I think this is a great, great gift for 2019. It's nice they announce it shortly after the EI tour ends because I'm still rather blue about no more EI. I could not be happier. Very cool gift. If I remember correctly, you have wished this kind of gift? Probably Santa Claus has been listening with us EI tour. It dosentti matter if the delivery is after christmas, nettiin year. I literally just resubscribed a couple days ago. I was only given the choice between the JT singles and the 3D Dance mixes. My Mum already got her 3D mixes through the post. Can I change my gift to the 2019 gift so I don't get another copy of the 3D mixes? Similar situation to me. Resubscribed at beginning of november, they should send the JT singles (already available for download); there's a eay to change? 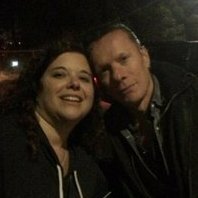 I recommend contacting customer service via U2.com/help ASAP (and possibly calling may be the better option) to see what they can do. And please let us know what they say. I am absolutely thrilled by the annoucement of this great gift. I secretly hoped for a live cd and we get a double! I emailed them earlier. Can't phone them as I'm abroad for a week. Will let you know what they say. "We'll be more than happy to look into your request. We have reviewed your order and since the new gift was just released on November 20. We cannot exchange the dance mixes for the new gift. You would have to renew your membership to receive the new gift. You will be able to renew the month your subscription expires." That's a bummer. Now going to end up with 2 3D Dance mixes. First time I have been excited about a subscriber gift since the Melon CD. Damn, I renewed in September. So, I will get 3D Dance Mixes. It is every year the same. September is very late. I hoped for a CD or Vinyl Gift with a complete concert from the Joshua Tree Anniversary Tour. From the ground Up was Amazing !! Ok, looks like existing subscribers can now again resubscribe early (and one full year will be added to existing expiry date). Does it come with presale codes for Aus/NZ shows? Double live CD sounds amazing. Just need to get my CD player fixed. Or get a new one as the current one is playing up (Although, to be fair it is pretty ancient ). I don't need to renew until early next year, so I'm happy to wait until I get the reminders. I have a single disc CD player in my car and that's it but I'm excited about this gift nonetheless! So far U22 & From The Ground Up are the best, lets hope this is just as good! I can confirm it works - I got the e-mail and just resubscribed! Thanks for your help, Bigwave! Thanks for subscribing to U2.com this past year, here’s the big news on our 2019 special gift to subscribers. This limited edition double CD & digital release, capturing the i+e Tour and the e+i Tour, is the 2019 special gift for U2.com Subscribers. Beautifully presented in a photographic book documenting the iNNOCENCE and eXPERIENCE tours of 2015 and 2018, this one-off special release has been produced by the band especially for subscribers. It will not be on sale online or in store. From "The Miracle (Of Joey Ramone)", "Every Breaking Wave" and "Song for Someone" to "The Blackout", "Get Out Of Your Own Way" and "13 (There Is A Light)", this is the definitive live companion to Songs Of Innocence and Songs Of Experience. We’ll be publishing the complete tracklisting in early 2019 with shipping beginning in the Spring. And from January, until dispatch of the double CD set, we'll be offering regular downloads of these new live tracks. 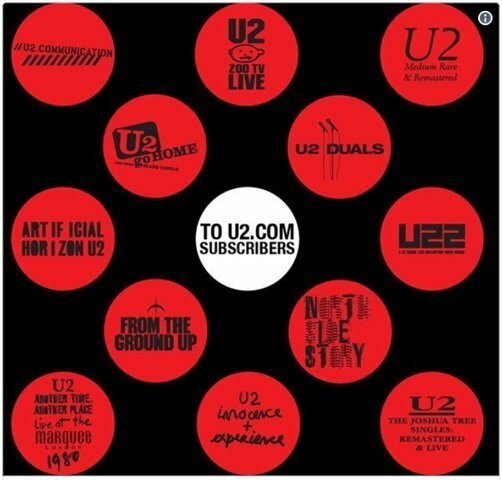 When you resubscribe to U2.com you'll also continue to qualify for the unique benefits of a subscription - a 25% off coupon in the shop, exclusive films, opportunities to access subscriber only events and first access to ticket presales if the band announce tour dates. Resubscribe today and your new 12-month term will be added on when your existing term comes to an end. Thanks again for being part of the U2.com subscriber community. OMG, an actual CD (and photo book)?! I was all ready to hurl something at my computer screen if it turned out to be another vinyl gift. Thank you U2.com! !